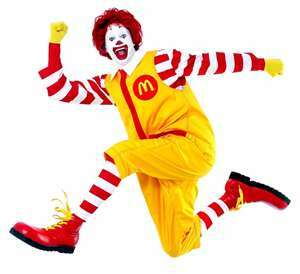 Good bye to Ronald …?? I’ve have a long running love of McDonald’s nuggets and fries, together we have shared many good memories over the years. Ronald has become one of my closest friends, but as close as we’ve become we’ve had our disagreements too. The changing of the fry grease back in the mid 90’s, the giving of the McRib sandwich and then taking it away, and most recently the 4 piece chicken nugget conspiracy !! With that being said I also love running, and I have been told many times by many people that my so called “poor” eating habits effect my running ability. I’m not sure that I agree with this none sense, but there is a little voice in the back of my head that keeps whispering to me. It keeps repeating over and over “what if they are right”, but there is another voice, a much louder and sarcastic voice that says “piss on them, Ronald is your friend”. What to do … what to do. What I am thinking about doing is giving this “so called healthy eating” thing a chance. I am planning a year long running journey for 2013 so I was thinking I might just combine the both of them. 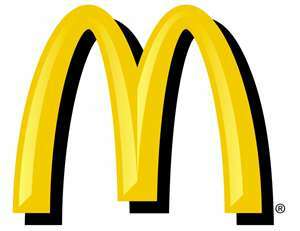 Running for 365 days sounds like a blast, not eating at McDonald’s for a years scares the crap out of me !! I’m not sure if I am ready for either of my adventures, but I always enjoy a good challenge !! 2 Responses to Good bye to Ronald …?? Wait wait wait. I just commented on your love of McNuggets and then I read this!?? I’d never count you out of a challenge, but this one seems particularly tough! It’s an idea I’ve been toying with for a while now … but after reading your link I’m having second thoughts.